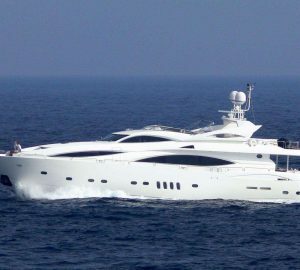 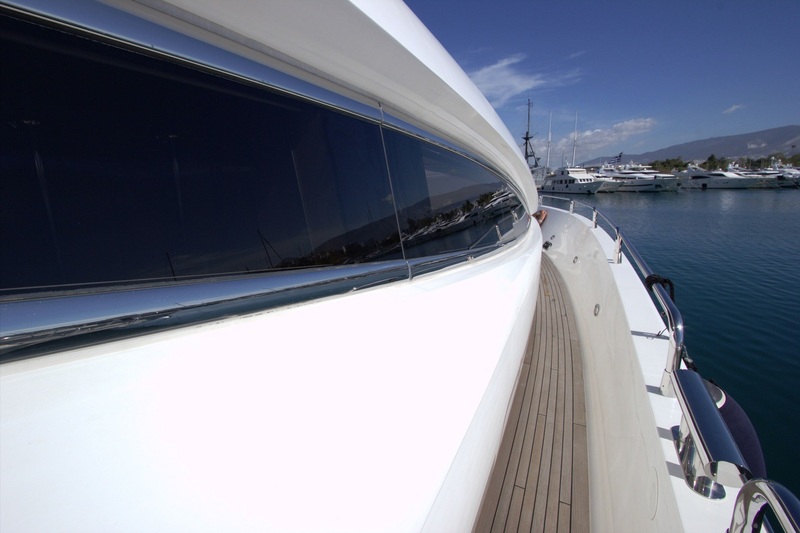 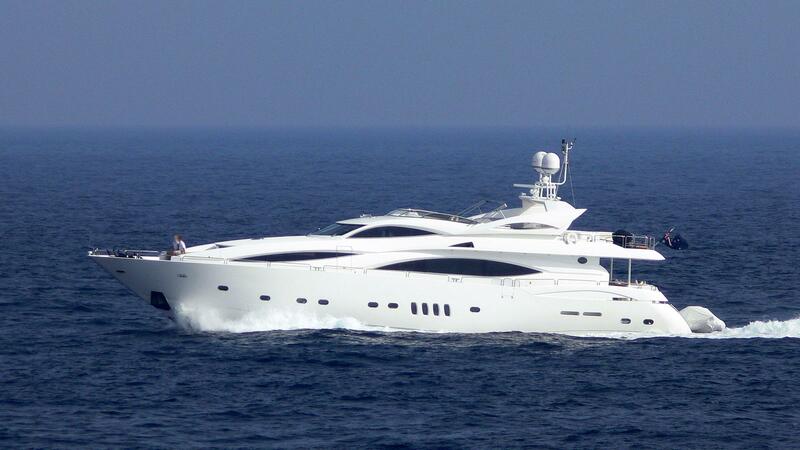 Motor yacht MI ALMA ( ex TI AMO, Willpower) is a Sunseeker 105 measuring 31,01m (101' 8"). 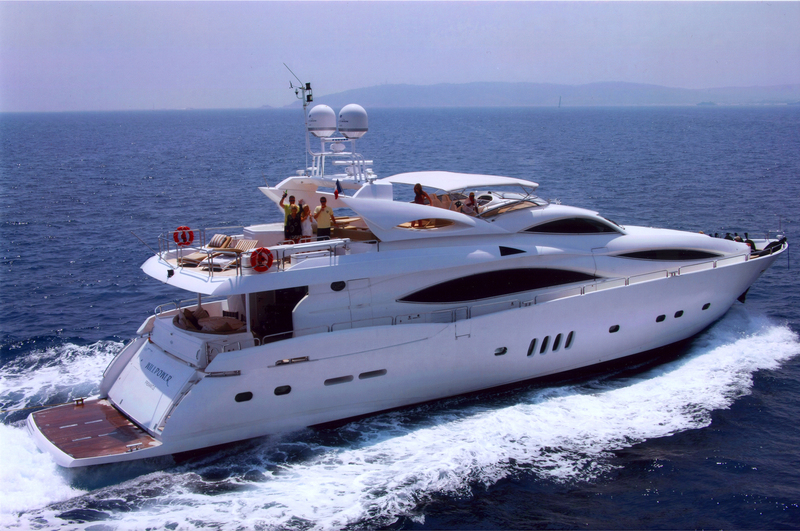 Built in 2001 by Sunseeker Yachts, yacht MI ALMA is a sleek and attractive yacht. 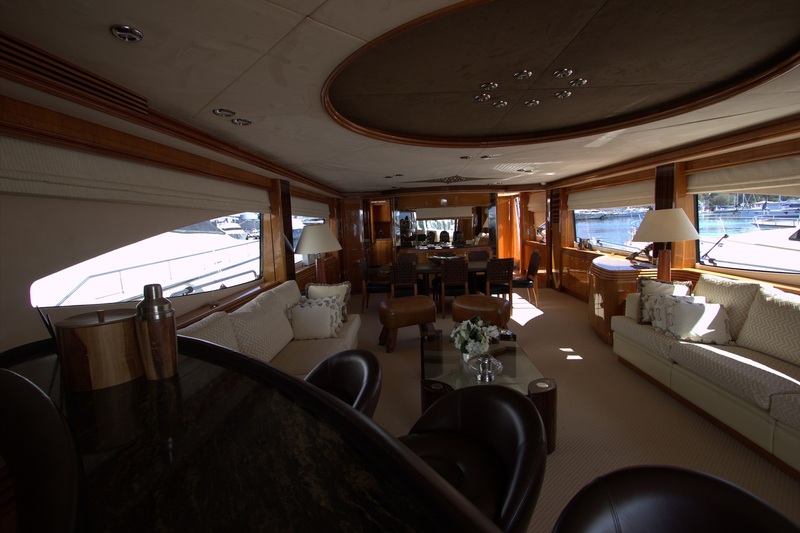 She is able to accommodate up to 8 guests in 4 cabins. 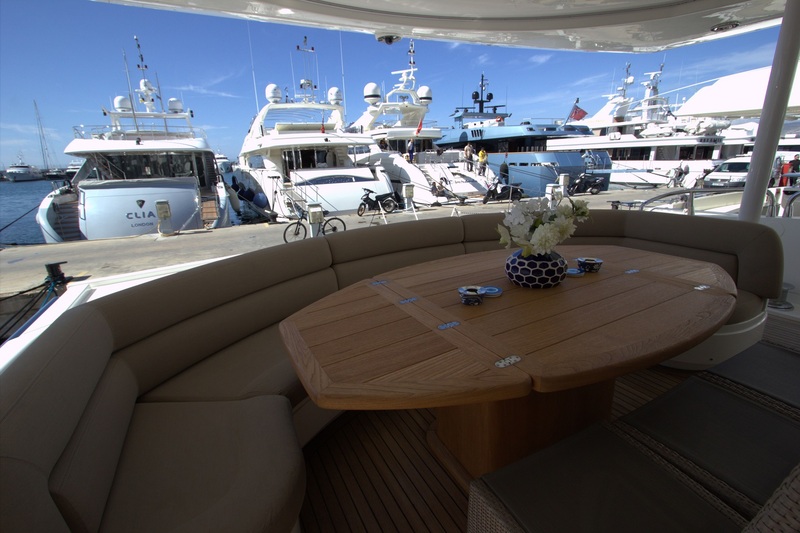 The spacious saloon of Sunseeker yacht MI ALMA is equipped with comfortable chairs and a fantastic bar area at the aft. 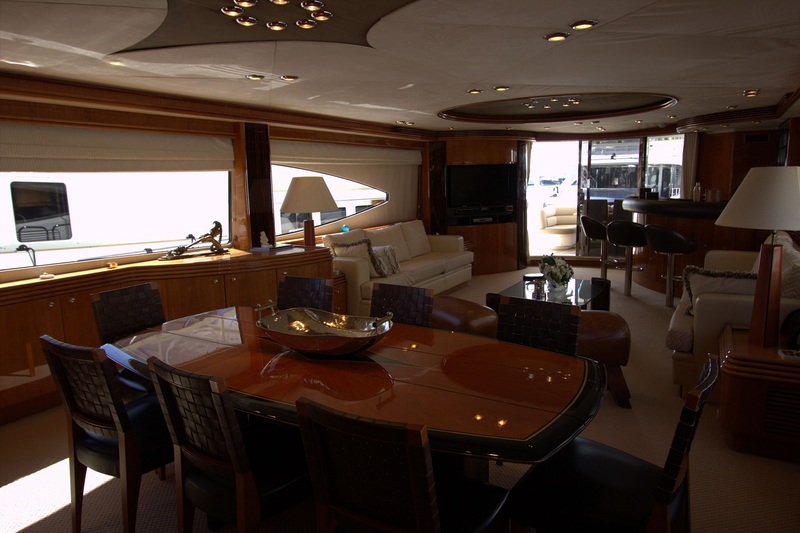 The dining area is located forward and the open plan layout offers a great sense of space. 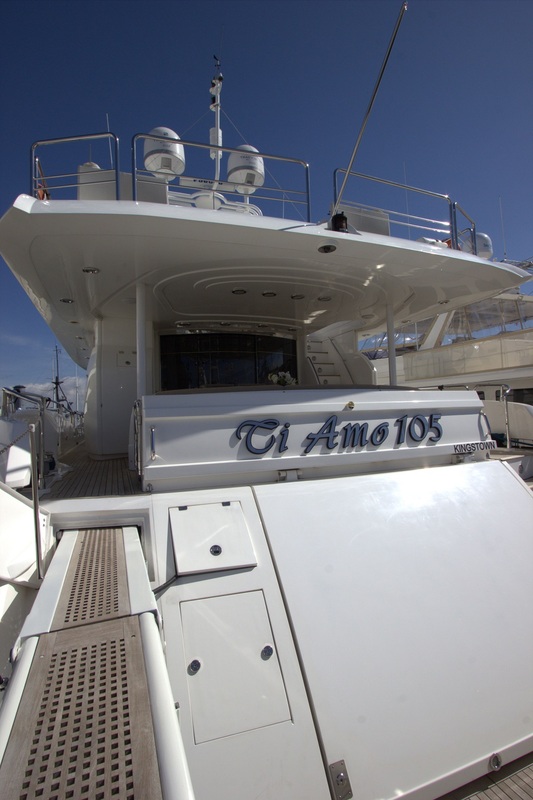 Motor yacht MI ALMA is able to accommodate up to 8 guests in 4 cabins. 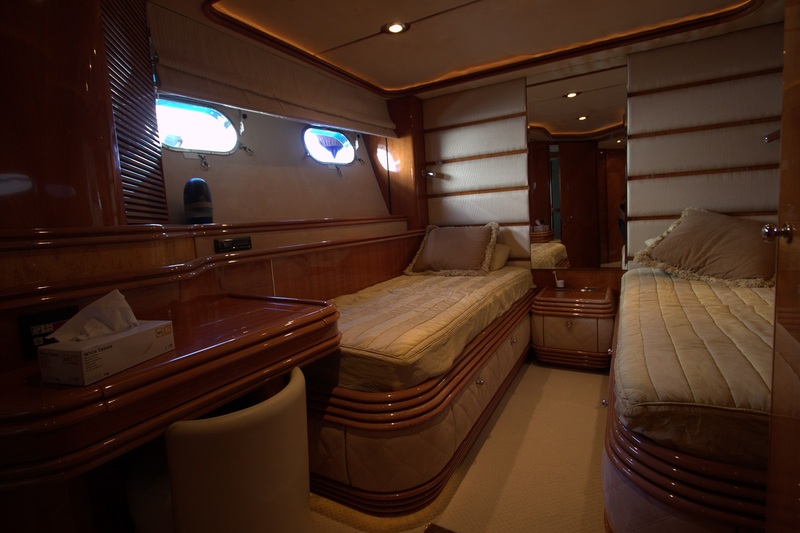 Her master stateroom is located forward on the main deck and has a large double bed, a minibar and seating area. 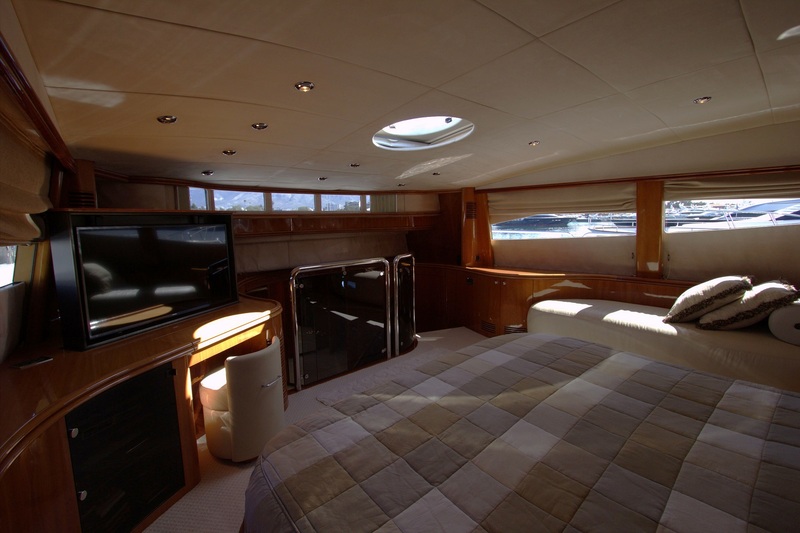 Steps lead down to dressing area with wardrobes and separate toilet room on the mid-deck level. 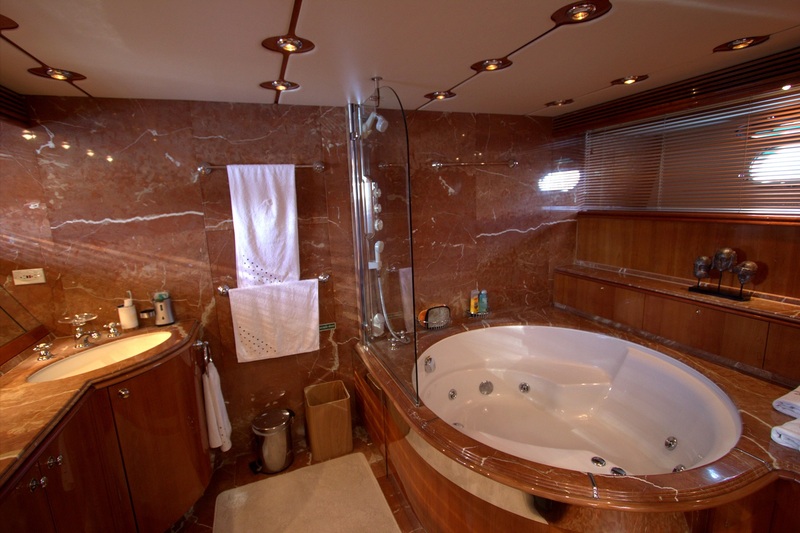 Steps again down to the ensuite area with a spa bath/shower on lower deck level. 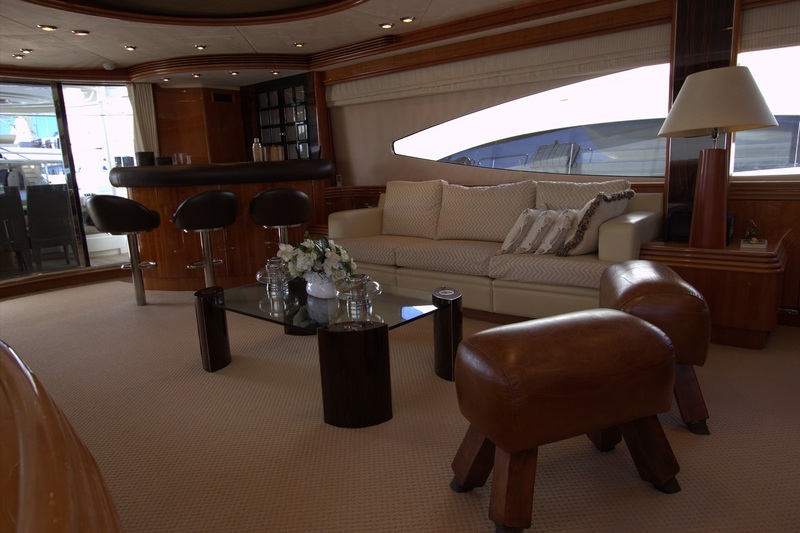 The remaining cabins are located on the lower deck, accessed via stairs on the main deck lobby. 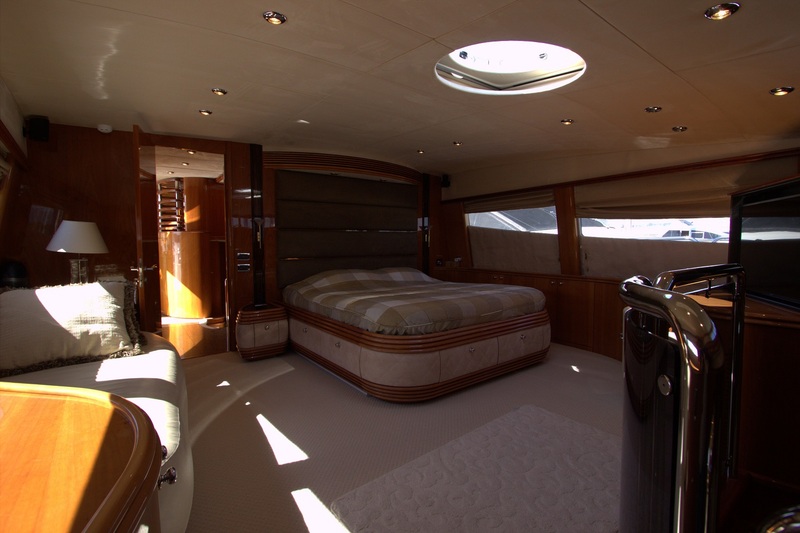 The 3 guest cabins include a VIP stateroom with double bed, walk-in wardrobe and ensuite with bath and shower. 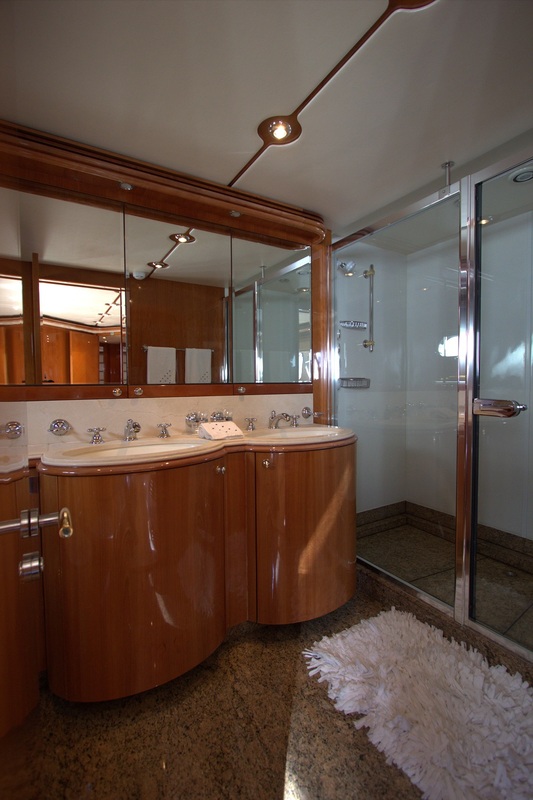 There are twin guest cabins located to port and starboard, each with their own ensuite facilities. 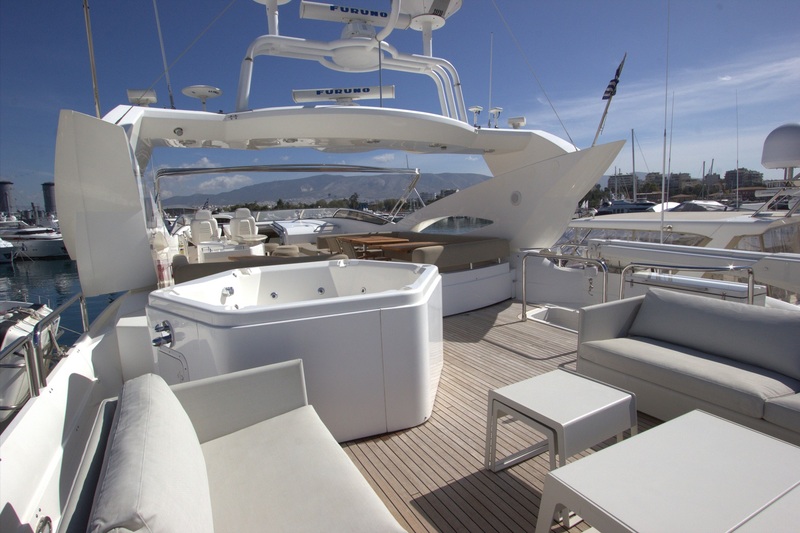 The spacious Flybridge is a great feature boasted by the yacht and offers a deck Spa Pool, great bar area and lots of seating, large sunbathing cushions and additional seating. 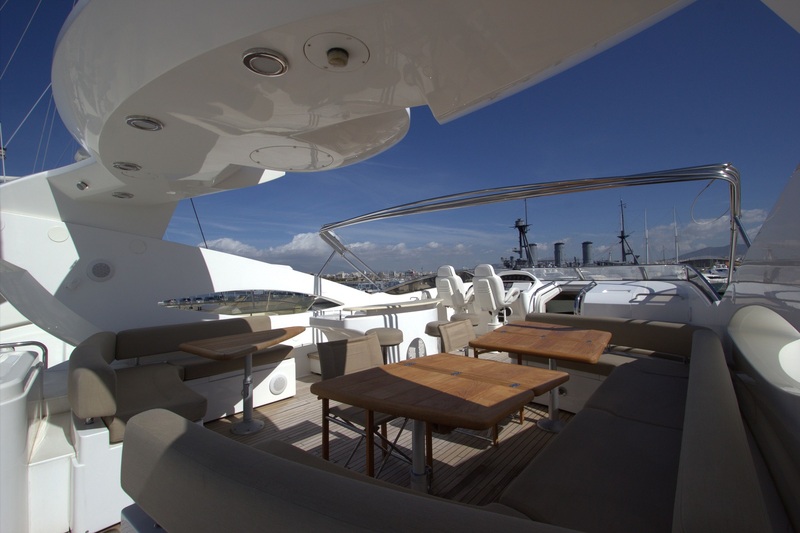 This area is excellent for entertaining, relaxing or soaking up the sun. 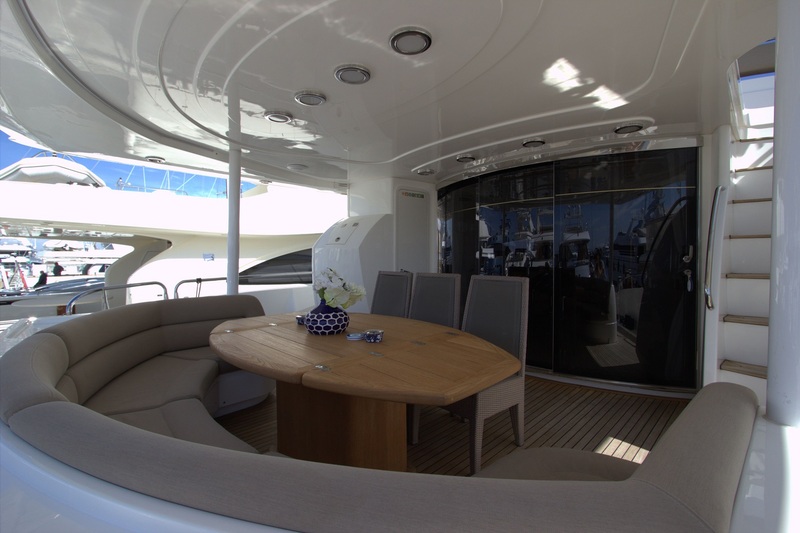 There is also a bimini cover to enjoy the shade. 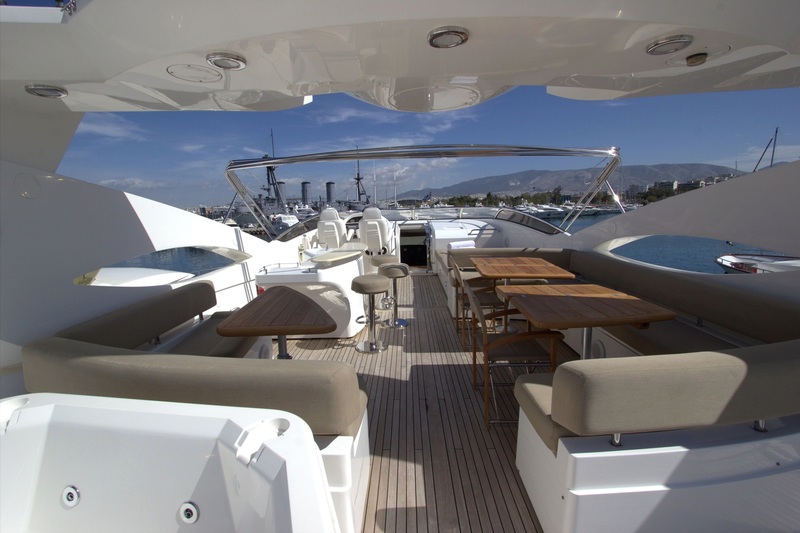 MI ALMA offers great style and comfort and has a professional and friendly crew of 6 who look forward to welcoming you onboard for your next Mediterranean yacht charter. 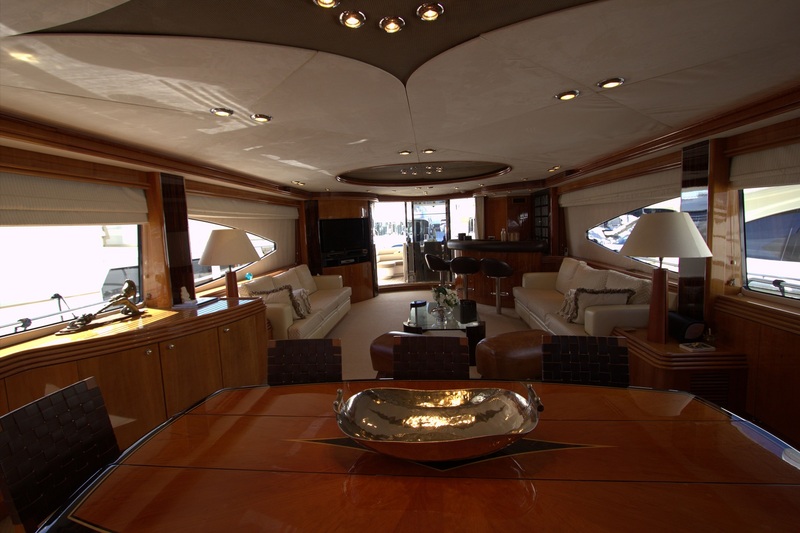 This motor yacht is able to accommodate up to 8 guests in 4 cabins. 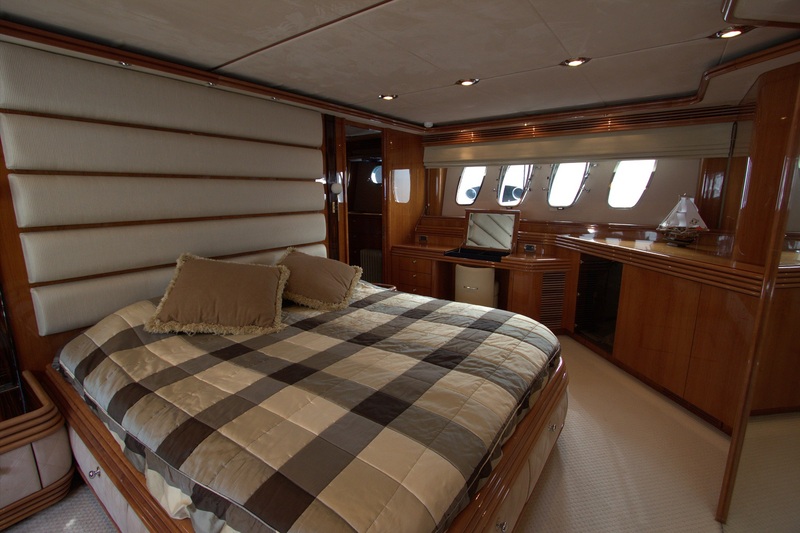 Her master stateroom is located forward on the main deck and is a beautiful cabin with a large double bed, a mini bar and seating area. 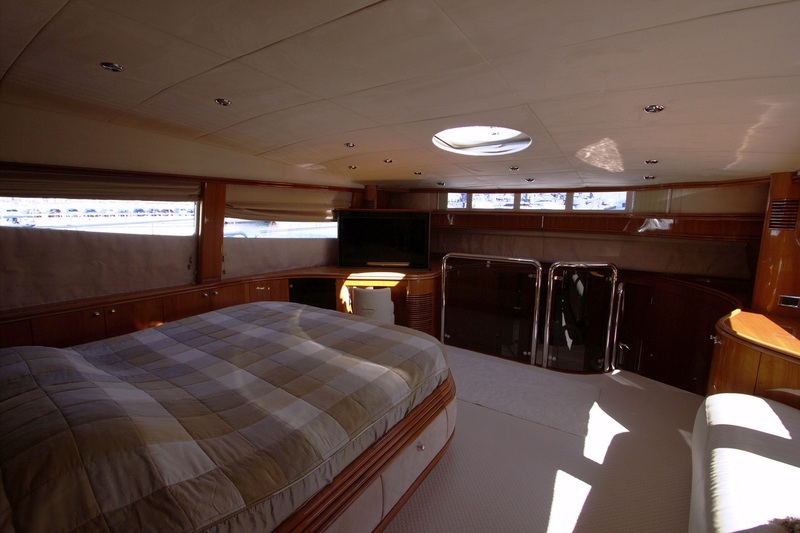 Steps lead down to dressing area with wardrobes and separate toilet room on the mid-deck level. 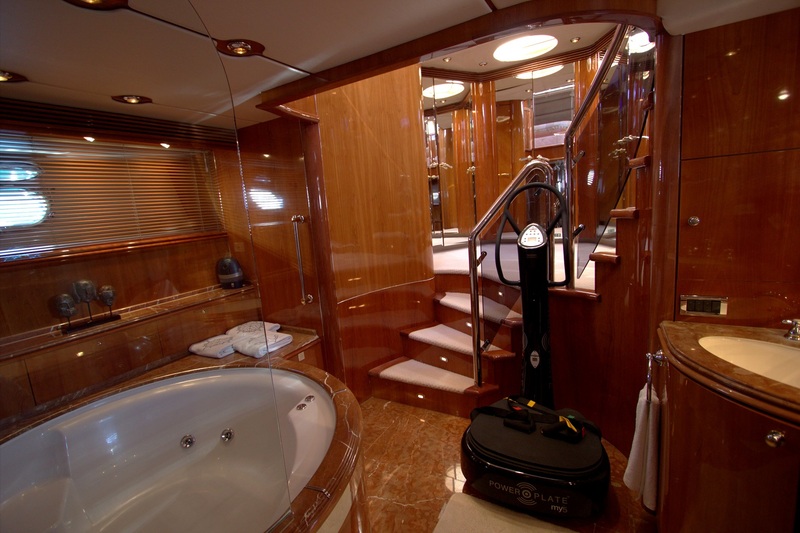 Steps again down to the ensuite area with a spa bath/shower on lower deck level. 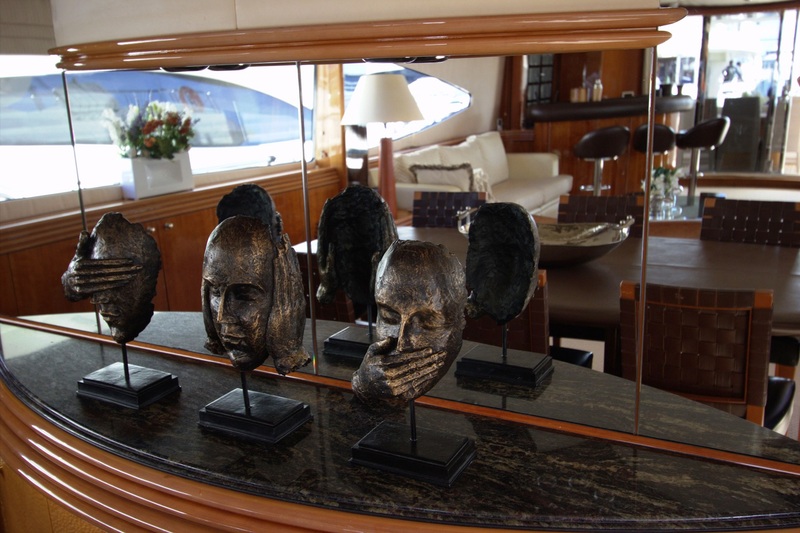 The remaining cabins are located on the lower deck, accessed via stairs on the main deck lobby. 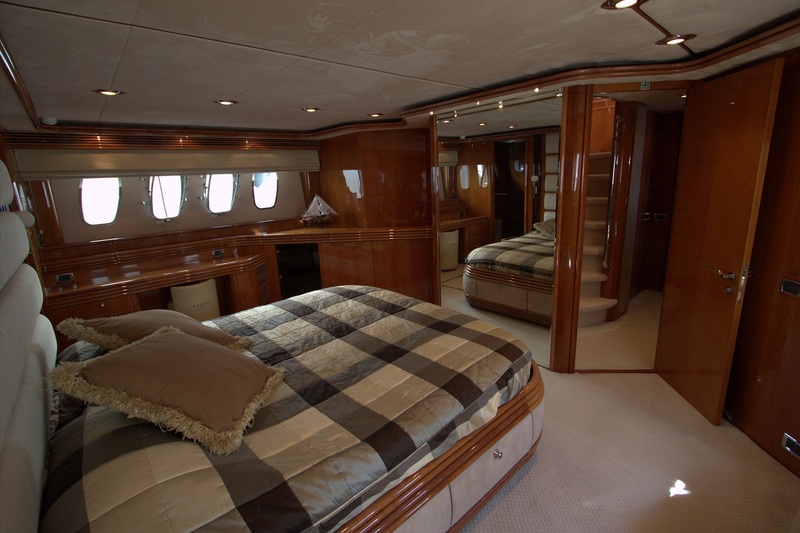 The 3 guest cabins include a VIP stateroom with double bed, walk-in wardrobe and ensuite with bath and shower. 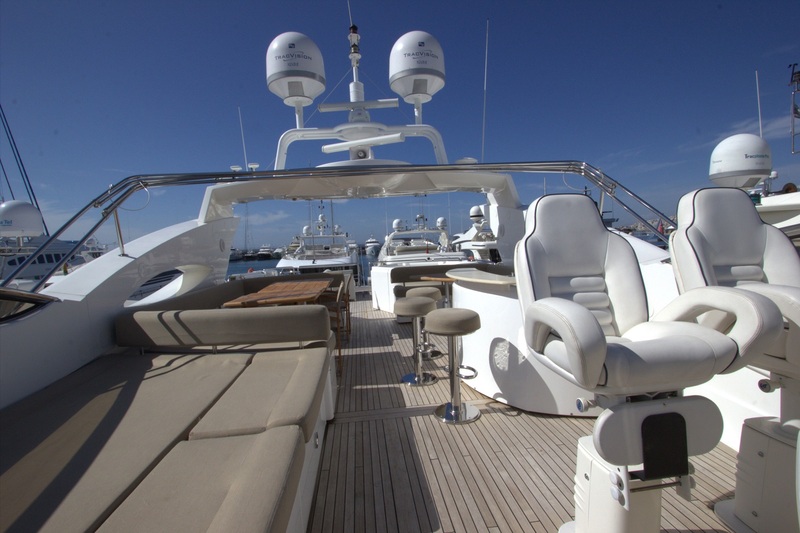 There are twin guest cabins located to port and starboard, each with their own ensuite facilities.